This is the first post, that came into being because of a request from a reader! For my people in Siberia the Fox is “Dilgi” the “Golden Tailed One! Dilgi = or Ee’ren Dilgiczek is a Spirit of the East, of the sunrise, when Yölle just comes over the horizon. Dilgi is ever vigilant and ever playful. He however will alarm the Kham – the shaman, my great grandma, when there is danger lurking in the near future. See, we have the notion, that all unknown and all dangerous spirits reside in the East, in the future, just waiting for us to make a silly mistake and so give them a chance to come out and cause trouble. Most of these spirits are just nasty, they make you loose your sheep shear – or in the more modern world of today – your car keys…. these tricksters are called Albys…. Dilgi warns us when one is coming out of hiding. there are other “not sooooo nice spirits in the East, but I may talk about them later. When we lay out an ULUG Chorum, a Medicine Circle, Dilgi – among others is honored with a place in the East. In German speaking Europe Fox has a fable name: Reineke – or in French Renard. He is sly, secretive and may steal your chickens…. In the ancient city of Göbekli Tepe in southeastern Turkey and 500 miles away from Istanbul which was inhabited about 12 000 years ago Fox was one of their main guardians. He protected against Mice, and rats, who carried diseases an ate the first corn the people grew.They had reliefs of foxes at the entrances to town. Here is Fox lore and legends from around the world. Just as the badger was seen to represent what could be called a diminutive expression of the bear principle, the fox resembled the larger Wolf. The Fox was considered to be persistent, yet was gentler and less aggressive than the Wolf. This is undoubtedly the reason the Wolf Society was predominantly a war society, while the Kit Fox Society (Takala) was one of the Akicita or policing societies whose duties centered less on warfare and more on camp life and hunting activities. The Fox had knowledge of underground things hidden from human eyes, and this he shared with the dreamer, telling him of roots and herbs that were healing and curing; then he shared his powers of swiftness and cleverness as well as gentleness. In this gentleness, there was strength and courage, as indicated by one of the songs of the Fox Society: “1 am a Fox. I am supposed to die. If there is anything difficult, if there is anything dangerous, that is mine to do. ‘We shall sing it into being,’ Fox said, and she thought of a lump of clay. It materialized in her hands. She threw it to the ground, and Coyote and Fox sang the mountains, the valleys, rivers and lakes. They danced until the Earth grew around them, and that is how the world began. Further East, Fox was linked with warriors. Typical policing societies of the Plains included the Kit Fox Society of the Lakota, the Dog soldiers of the Cheyenne, and the Fox Society of the Crow. The members of the latter group strove amongst themselves to strike the first blow against the enemy. The leaders carried a staff which, when they dismounted, they planted and refused to move from that spot, even when other members of the tribe retreated. Fox shares many characteristics with ferret, in its ability to move unseen and its cunning. Other common attributes include: camouflage, swiftness, shapeshifting, invisibility – all important abilities for the warrior. The Inuit recognized the ‘magic’ of Foxes and feared them. After a kill, the Fox was hamstrung so that the spirit could not re-animate the body, for if it were to walk again it might take revenge on the hunter. The Kit Fox was revered all across the Plains. It remains an important animal to this day. In 1800, the Kit Fox Society was one of the great warrior societies of Oglala Sioux. They were also used as internal ‘police’ or marshals of the camp. Therefore, they were guardians of the tribe. The members of the Kit Fox Society painted their bodies, faces and arms yellow. If the leader was to be handling sacred things, such as during the Sun Dance, his hands would be painted red. A yellow fox skin suspended from the right hand was a badge of membership. An Eagle feather attached to the fur was the mark of a leader. Red bird plumes and a war club indicated readiness for battle. The warriors, or Foxes, were stake-holders whose duty it was to defend the helpless unto death in case the village was attacked. It was after the death of four of these warrior-foxes, all stake-holders and sons of the chief, that their grieving father sought a vision. He was told of two children who needed him. He sought and found these two abandoned children, a boy and a girl, and raised them as his own. Before his death, he held a feast and told his people that if one’s heart was good towards another, they should become as one family. Thus, one of the seven important rites, the Hunka (adoption) ceremony of the Lakota, was born from the sacrifice made by Kit Fox warriors. A person did not ask to join the Kit Fox Society, but was nominated and then invited to join. The ceremony was complex. Once a member, it was believed that the man could not lie. If later the warrior was wounded, it was thought that he must have done something wrong or broken his vows. Otherwise, he would have remained invincible. .
And the women of the Oglala also have a Kit Fox Society. For man or woman, Kit Fox imparts the laudable qualities of constancy, courage and integrity. These women are stern defenders of their families. As an animal, Kit Fox is a good parent; therefore, women who are endowed with Kit Fox medicine are conscientious mothers. Cunning, dexterity, speed, agility, invisibility subtlety, wisdom, trickery and guile; (depending on tribe and species): protection, family, maternal instinct, camouflage, healing, invisible presence. 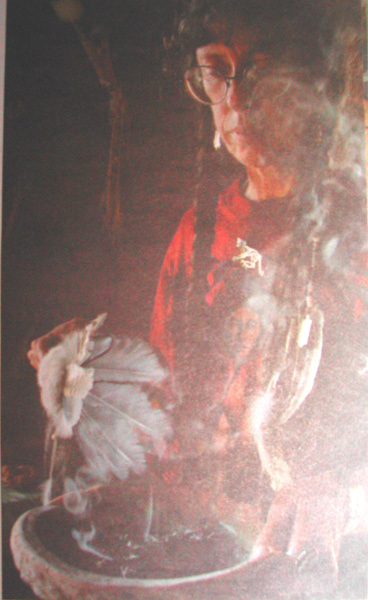 The Hopi used Fox furs for healing and in shamans’ robes. The healing action took place by the holy man placing the fur on the affected part and drawing the sickness away. 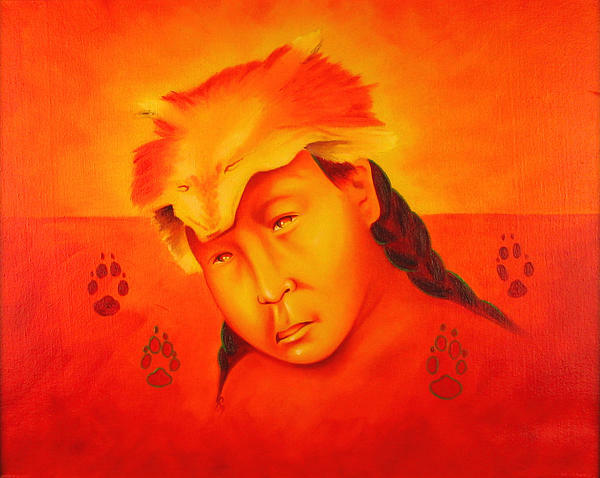 Many Native American tribes wore a Fox skin or held ceremonies to invoke its power. It was believed that, worn on the head, the skin imparted fox’s intelligence to the individual. Meanwhile the tail of the fox often graced the medicine man’s spirit poles (the Plains’ equivalent to northwestern totem poles, or the Celtic wand or wizard’s staff). Fox teaches subtlety and imparts the ability to run like the wind. These are warrior traits. 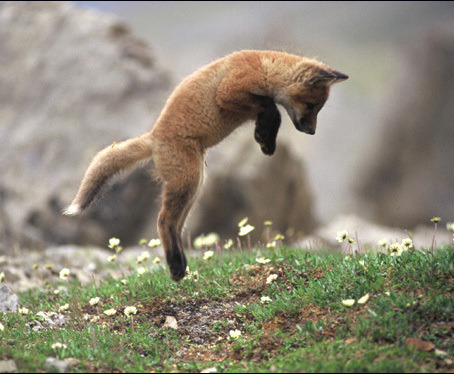 Fox is decisive and sure-footed in the physical world. It is swiftness of thought in the intellectual. Fox was one of the primary gods for the Inca. The Inca of Peru were a fatalistic people who worshiped the stars. They named the constellations we know as Pleiades after the Fox. This constellation marked the eastern sky at the place where the sun rose during the winter solstice. Fox was one of the first characters in their creation myth. Like many major cultures, the Inca had a flood story; in it, fox clung to the top of the mountain with the rest of the animals. The poor creature was jostled from his perch and almost fell into the water. Only his tail touched the water; that is why the Fox’s tail is black. This legend reflects an actual event in the night sky, dating back to AD 200 when the Pleiades dipped below the horizon. This astronomical phenomenon heralded a civil war within the Inca culture which lasted some 800 years. Fox was sacred to the Celts, who held a ritual hunt. The Fox’s pelt contained great magic. The animal represented cunning, but without many of the negative associations later linked with it. Fox was regarded to be the master of diplomacy and wise council. Therefore, Fox could be invoked as advisor. The Fox was equated with the devil during the Middle Ages. In bestiaries of the period it was said that Fox catches Birds by playing dead. This wily creature allegedly smeared its body with red Earth, lay on the ground and held its breath. 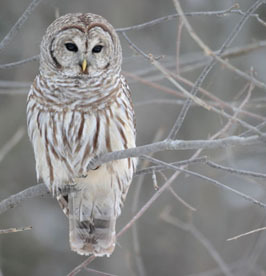 When Birds lighted upon Fox – presumably for a quick snack – they were killed. In the allegories and parables of christian tradition, the predator is always the devil and his prey the human sinner. Under the title Vulpis, Greimas wrote: Those who want to practice his works, they need to be fattened with his [Satan’s] meats which are: adulteries, fornications, idolatries, poisonings, murders, theft, lies and such like. Fox carried his reputation for cunning through to Victorian times. Heraldry said that the Fox was full of wiles and subtlety. It represented those who have done signal service to their prince and country in embassies, where there is more use for wit and dexterity than strength or vallour. Besides possibly Wolf and Swan, no other animal is so often comemmorated in folk tales, almost always in the same context, as the elemental trickster, as one who can persuade even a mother Bird to release its chicks to Fox’s less-than-tender ministrations. Occasionally Fox appears as hero of the tale, but this is rare. The Welsh have held on to some of the Celtic views of Fox. They believe that to see a lone Fox is good luck, but a pack bodes bad fortune. Fox was associated with the Sumerian god, Enki, but seems to have been missed by the Egyptians altogether, although some authorities have wondered whether the god Anubis, rather than a Jackal, was a Fox; others think he might have represented Dog. Fox can move unseen; it often remains hidden in the background, observing what’s around it. Thus, it teaches that knowledge is best gained by not calling attention to oneself. Fox represents camouflage and invisibility. Several authors recommend that if a person wishes to remain unseen in a crowded room, he or she should invoke Fox. Fox is much more adaptable than the larger Wolf. So, fox represents integration – of thought and behavior, of the emotional and physical realms. Fox blends the medicine of Cat and Dog. Solitary like Cat, supple like cat, but very much a canine creature. Fox Medicine is also ‘women’s Medicine’. It is the protector of the family unit. Fox is always concerned with the safety of its fellows. Different elements of Fox yield different results. Fox can be warrior energy, like Wolf; it is stealth, like Ferret. In some Native American cultures there’s a Fox society that is exclusively for women, and one specifically for men. Therefore, Fox bridges the gap between male and female energies, providing mutual understanding. If secrets are about, call Fox. It allows an individual to counter subterfuge with subterfuge. Fox Medicine can be used for either the frontal attack or for strategic retreat into the background. Sometimes, Fox appears as a warning of trickery. Fox Medicine brings the gift to move from place to place with ease and without being noticed. It aids one in developing independence of thought and confidence. Fox can be summoned when it is time to break out of social conditioning. It facilitates the recovery of authority. The Kit Fox had none of the negative associations of the Red Fox. It is intelligent, but not identified with trickery or guile. If Red Fox spoke with a forked tongue, then Kit Fox spoke straight and true. Kit Fox imparts stealth, but this was good Medicine to have . Kit Fox Medicine is not exclusively a man’s domain, at least not now, for the women of the Oglala also have a Kit Fox Society. For man or woman, Kit Fox imparts the laudable qualities of constancy, courage and integrity. These women are stern defenders of their families. As an animal, Kit Fox is a good parent; therefore, women who are endowed with Kit Fox Medicine are conscientious mothers. This entry was posted in Shamanism, teachings, Wildlife and tagged Archetype, Fox, legends, Medicine, Native American culture, wildlife myth. Bookmark the permalink. Great read! Hope to read more on the symbolism of the animal guides! Oh, I am glad, you liked it! I might put something about specific Critters here every few days…..
Mi-Shell, I am so excited to see you blogging, and sharing your wisdom with so many. 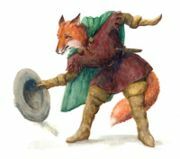 🙂 Thoroughly enjoyed your post about Fox – it is nice to see him in the light of a “helper” rather than just as a sly, cunning trickster. Looking forward to reading more from you! Fascinating post, Mi-Shell. When I lived in Belgium we often heard the stories of Reinaart de Vos and his cleverness. I also enjoyed the post thank you. Thank you. Albino fox came to our back door a few years ago. Fox family living in forest we live in. Fox appear. Thank you for the best writing about Fox. You are very welcome! Right now, we are putting some food out for our Fox, just a little snack every night…. Happy Solstice to you !